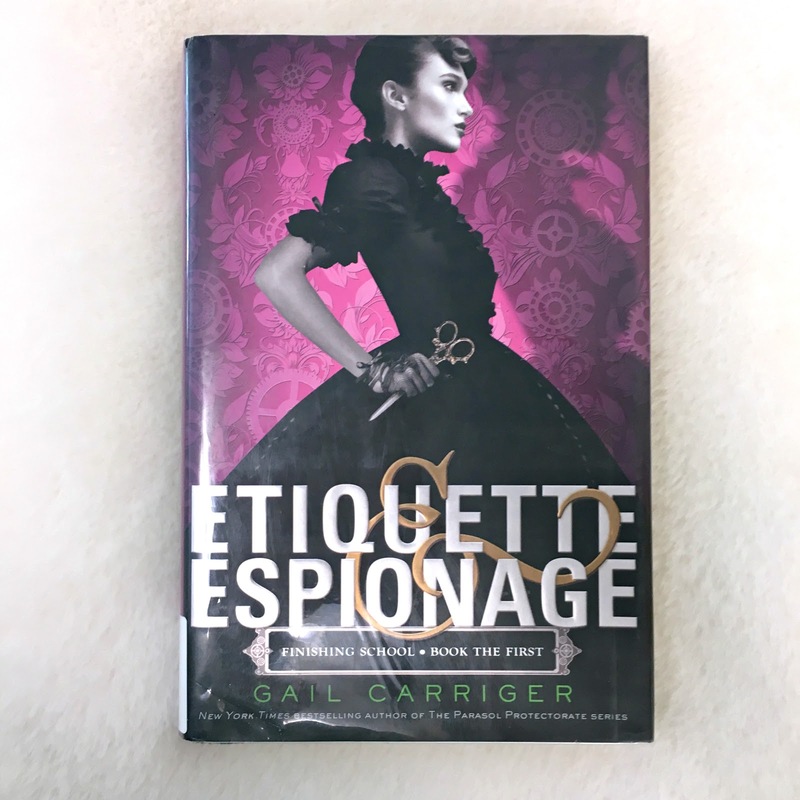 Note: Etiquette and Espionage is the first in a four-part series titled Finishing School and is followed by Curtsies and Conspiracies, Waistcoats and Weaponry, and Manners and Mutiny. "It's one thing to learn to curtsy properly. It's quite another to learn to curtsy and throw a knife at the same time. Welcome to Finishing School. But Sophronia soon realizes the school is not quite what her mother might have hoped. At Mademoiselle Geraldine's, young ladies learn to finish...everything. Certainly, they learn the fine arts of dance, dress, and etiquette, but they also learn to deal out death, diversion, and espionage--in the politest possible ways, of course. Sophronia and her friends are in for a rousing first year's education." 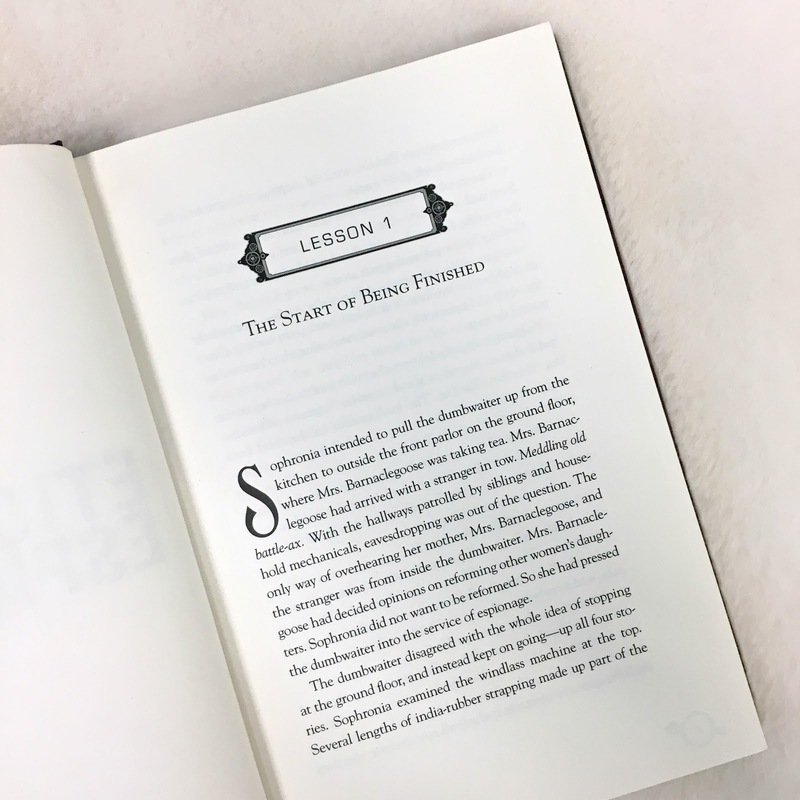 "Sophronia intended to pull the dumbwaiter up from the kitchen to outside the front parlor on the ground floor, where Mrs. Barnaclegoose was taking tea. Mrs. Barnaclegoose had arrived with a stranger in tow. Meddling old battle-ax. With the hallways patrolled by siblings and household mechanicals, eavesdropping was out of the question. The only way of overhearing her mother, Mrs. Barnaclegoose, and the stranger was from inside the dumbwaiter. Mrs. Barnaclegoose had decided opinions on reforming other women's daughters. Sophronia did not want to be reformed. So she had pressed the dumbwaiter into the service of espionage." Not my taste for young adult literature. The story had some interesting ideas, but I felt too much was thrown into the plot's blender. The story follows the pupils of an all-girl's espionage school during the Victorian era--this, in and of itself, sounded like a curious twist on the classic school story mode. I'm afraid that for me, however, this premise jumps the shark once readers learn the school is set in an airship ("OK," I thought, "Maybe this will be science-fiction like The Lunar Chronicles"), but then the plot throws in vampires, werewolves, and technological advances except all of the ones that would make sense to me given the time period. The Finishing Academy sets out to teach girls to seduce and kill while adhering to 19th-century gender roles. This clash between a contemporary YA romance framework with a historical fiction background, set in both fantasy and science fiction realms that weren't fully realized, made the book a bit messy. While I didn't particular enjoy the novel, I've heard one friend say she enjoys Carriger's books because the series is relatively clean compared to some other YA texts. Since I didn't read the whole series I cannot attest to that myself, but the books might appeal to some audiences, perhaps those who aren't bothered by blurred lines of genre, reality, historical, and scientific accuracy.